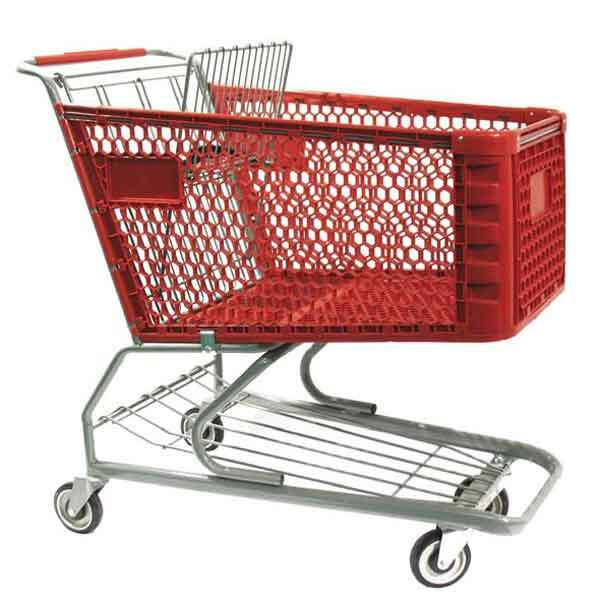 Traditional style large plastic shopping cart, oval metal frame, hinged wire nesting gate with child seat area. Standard options include a lower tray, granite gray coated finish, ASTM F 2372 compliant, child seat belt, plain logo panels and plain handle. Plastic basket available in three standard colors. 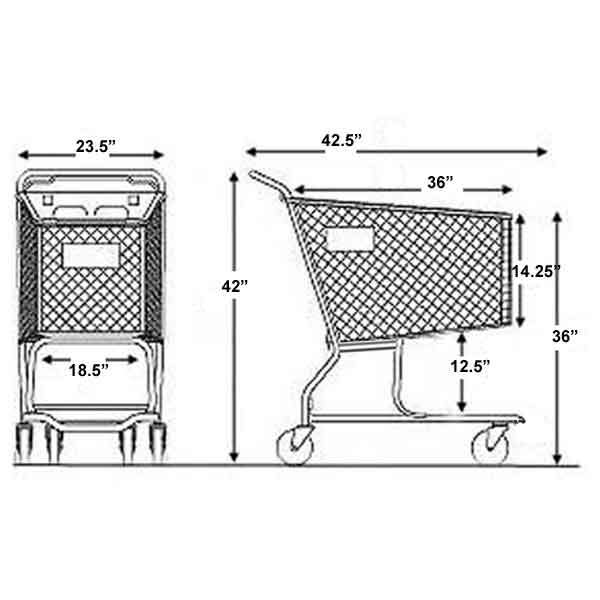 Basket Print - There is a $25 per order set up fee when adding standard block lettering on the two basket side panels. The print is white and there is no additional per item cost. This fee is waived when ordering 25 pieces or more with the same print. Basket Logo Print - There is a one time $200 die charge to add a one color custom image to the two basket side panels. The print is white and there is no addtional per item cost. On repeat orders, there will be a $25 per order fee when printing less than 25 pieces.